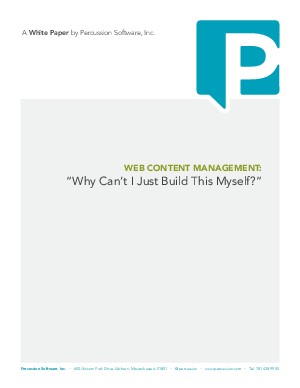 > Research Library > Percussion > Web Content Management: Why Can't I Just Build This Myself? In the end, deciding on the right approach for your business requires that you consider each of these factors carefully, and in the contect of your own business. Done well, this decision will give your company the control and flexibility to be successful online, regardless of what comes next.